To add or change accounting codes, click Chart of Accounts from the Accounting menu. You will then access the chart of accounts. 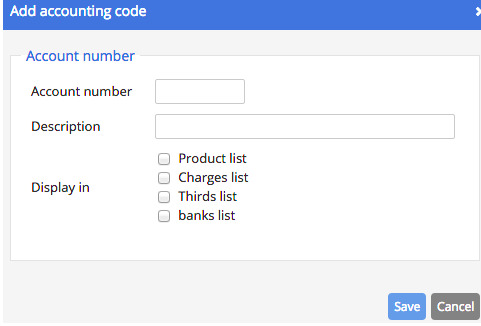 To add an accounting code, click the New account code button.